January 18, 2012 Adri H.
After moving in December, I took a trip to visit my family, and then returned to a flat full of boxes and a nervous dog. So, after much unpacking, organizing, and finding a local cafe that has wi-fi... I can post again! 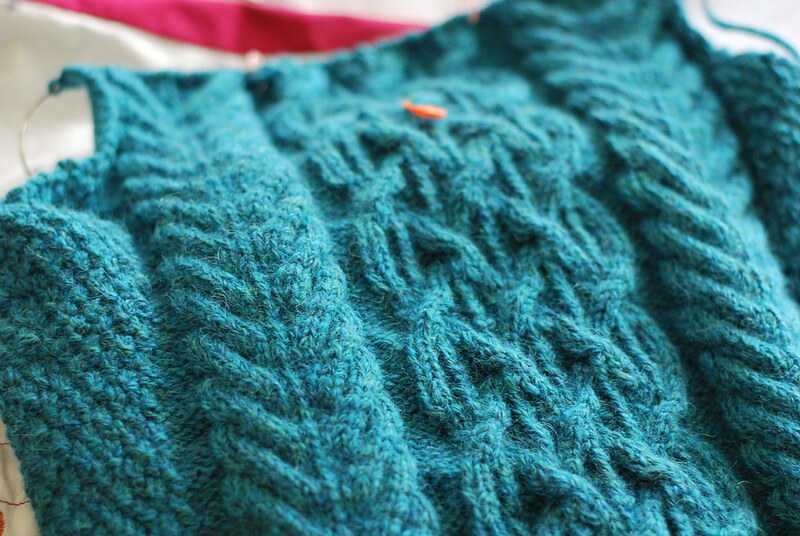 Hopefully soon I'll have internet once again at home, but just wanted to post my latest in-progress photos. 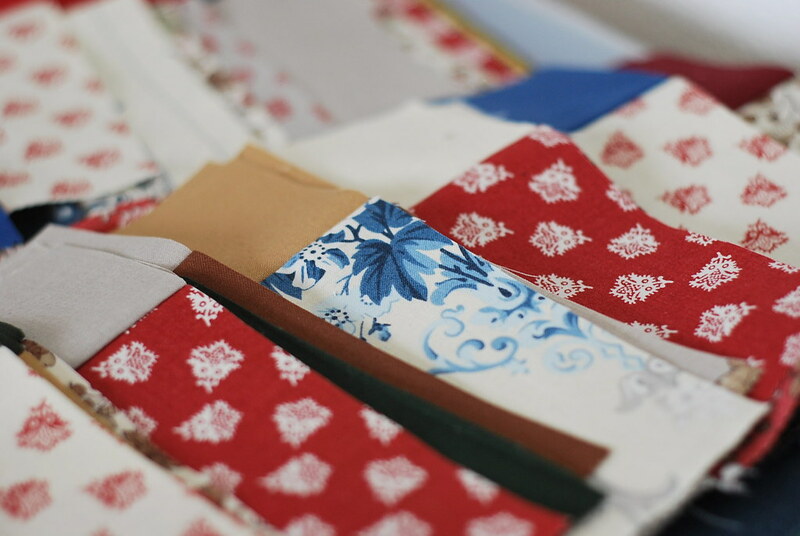 In sewing, I've been cutting out paper patterns and readying them for this year. 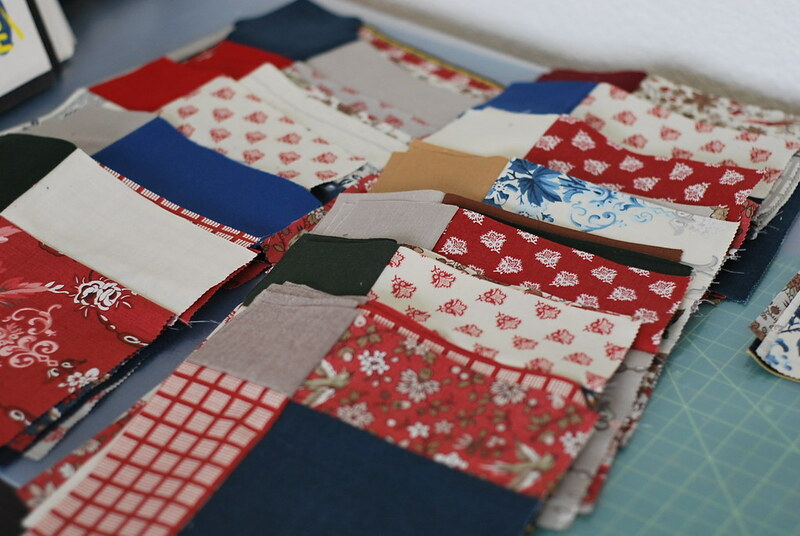 I've also begun my big project which is a quilt and have laid out the fabric for my trousers project. The quilt is a disappearing 9 square pattern and I'm hoping I bought enough charm squares to make it cover our double bed... I hope. So far I have 48 squares. I think I need 90 or so. 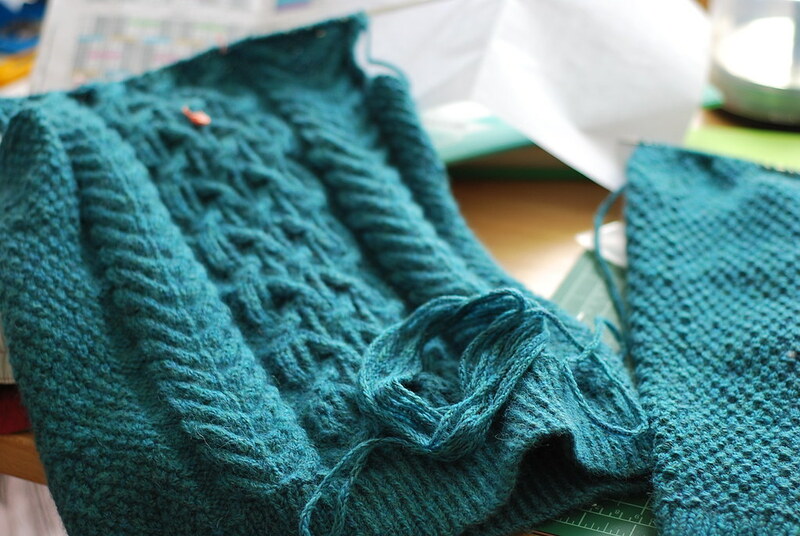 I'm trying to finish all the WIP projects from 2011 and I'm still finishing the very cable-heavy sweater "Beatnik" by Norah Gaughan. 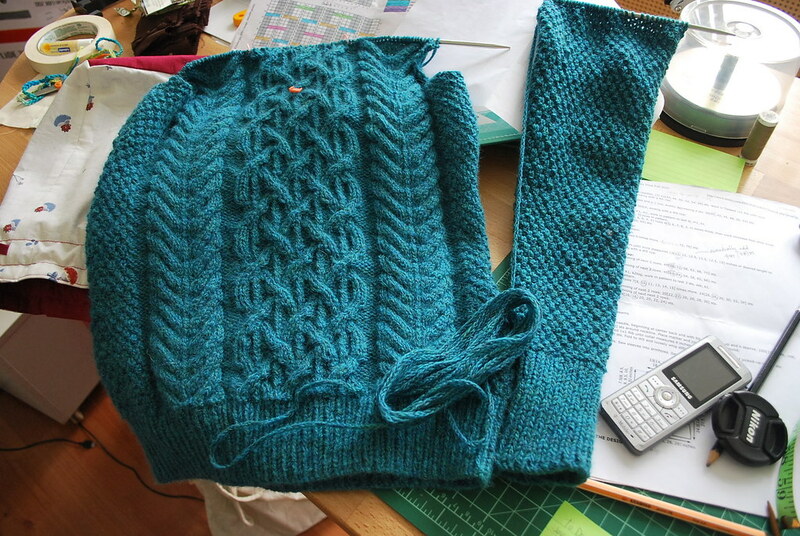 It's nearly complete with just one more sleeve, the top front, and the collar. So close!